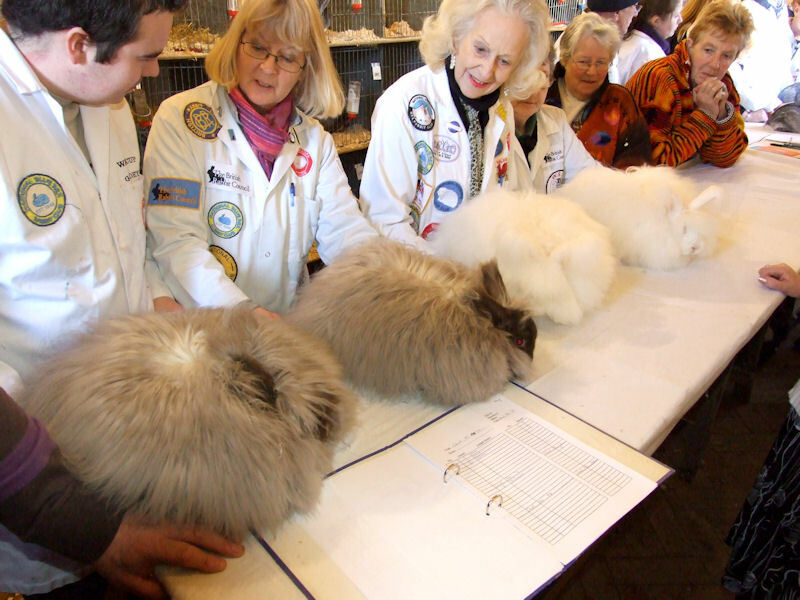 The 2018 National Angora Club Stock Show will be held on Sunday 27th May at Wyken Community Centre, Westmorland Road, off Belgrave Road, Wyken, Coventry, CV2 5PY. The Annual General Meeting (AGM) will be held at this show at 1pm at the show. Please send proposals or items for agenda to Christine Hamilton or Lesley Hordon. The autumn stock show will be held at the London Championship Show on Saturday 13th October 2018. Venue East of England Showground, Oundle Road, Peterborough, PE2 6XE. Judges for stock shows this year are confirmed. Neil Robertson for Coventry 27th May, Geoff Boot for London 13th October. Please ensure that they have plenty of exhibits folks. Posted 10/02/2018 by LH & filed under Showing Angoras.